Our shoes come in a wide varity of styles, all of which offer great support and comfort. We carry all the newest styles from Adidas. 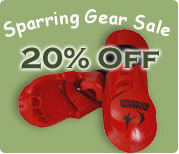 Stylish enough for every day use but durable enough to meet all your martial arts needs. We also carry some of the best kung fu shoes and ninja tabi boots on the market.